In the ever growing atomweight division, Invicta will open with local fighter Jessica Philippus taking on Meghan Wright in the promotion’s first ever match. 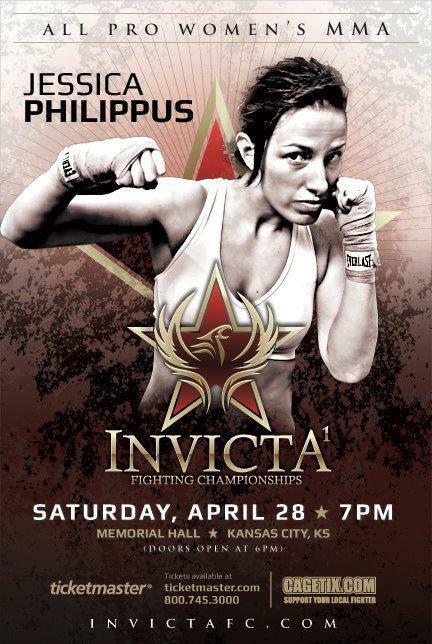 Philippus will be making her pro debut after a very successful amateur career. Having only lost to top flyweight Barb Honchak; Philipus has four different submission victories to her credit. She also is coming from a successful collegiate wrestling career. She took most of 2011 off to have a child, but is ready to make an impact in the pro ranks. Meghan Wright (1-3) has had a rough start as a pro, currently on a two fight losing streak. Being a journey-woman fighter, Wright has went from training in Michigan, to Illinois, to Pennsylvania, to Texas, and finally making her permanent training home in Cincinnati, OH. She also touts a wrestling background and is looking to get a much needed win against Phillipus.